Talk about utility vehicles and the first car to strike your mind is the Mahindra Scorpio. Till date no car has been able to compete with the same and therefore Scorpio by Mahindra and Mahindra is the ruler of this territory. 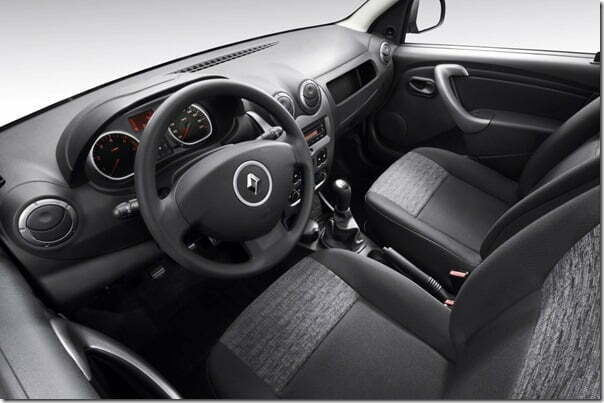 But soon things are going to change as Renault’s compact SUV, Renault Duster hits Indian markets on 4th July 2012. After Duster, Ford EcoSport will also make its debut which means that the competition is going to get tougher and tougher for Scorpio. Mahindra is also working on next generation Mahindra Scorpio 2014 codenamed W105 which is due by year 2014 and till then the competition will become even more intense. In continuation to our car comparison series, In this article let us focus on Scorpio and Duster only and find out which one could be a better utility vehicle for you at a price range of close to Rs. 10 Lakh. We will do the comparison for diesel models of both the SUVs as the Scorpio does not offer a petrol variant. Starting with the duster first, it looks really masculine, edgy, rugged and very aggressive. It has a modern feel to it, without compromising the real essence of a typical SUV. Highlighting features on the exterior include sporty bumpers, flared wheel arches, sporty roof rails enhance the appeal of the car. The front looks appealing as Renault has used chrome on the grille, though the headlamps are bland. The rear has an elegant feel to it. Proportion wise the car seems short and wide but actually it isn’t that short. The Scorpio has more character to it and the latest iteration is very attractive. New multi-focal headlamps, road armour bumpers, bonnet air scoop, integrated footsteps, side cladding with Scorpio embossing, sporty fog lamps are some of the noteworthy features. It surely is a head turner but if looks is the most important thing for you, the Duster is definitely a better looking car. Evident from the dimensions of the two, the Scorpio is longer and taller but in terms of width and wheelbase, both the cars are at par. The exoticness of the exterior of the car influences the inside as well. The dashboard and the centre console is a little curvy which is good to look at. The seats are comfortable and you enough space to sit and fit in your luggage as well. Features list include immobilizer, steel engine sump protection guard, 2 rear headrests, 3 point rear seat belts, RF remote control, power steering, manual HVAC, keyless entry with central locking, tilt steering column, ABS, EBD and Brake Assist, dual airbags, on board trip computer, 2 DIN integrated radio with MP3, USB, AUX in, SD reader and 4 speakers,audio and phone controls on the back of steering wheel, height adjustable front seat belts, electrically adjustable ORVMs, map lights on both sides, rear seat arm rest with cup holders, glove box lamp, rear glass wiper, washer, defroster. Scorpio is an old model and features an uninteresting design, though its sibling XUV500 looks fabulous from inside. The central console along with the whole dashboard is quite ordinary with nothing to explore. Some of the highlighting features include dual airbags, ABS, Bluetooth enabled for your phone, tyre-tronics for latest updates on tyre pressure and temperature, speed alert, intellipark, cruise control, rain and light sensors for wipers and headlamps,dual tone interiors, fabric upholstery, rear seat armrest etc. Scorpio offers loads of features but Duster isn’t far behind. Considering the space available, number of persons accommodated and features, Scorpio is a better choice, though Duster is miles ahead in appeal. Both the cars come with two engine options. The Duster comes with 1.5 litre CRDi diesel engine that delivers 85 BHP & 200 Nm and 110 BHP & 228 Nm for two different variants respectively. Scorpio is offered with two different engine options: a m2DiCR and a mHawk that generate 75 BHP & 220 Nm and 120 BHP & 290 Nm respectively. The engine are quite close in terms of performance but the mHawk diesel delivers significantly better torque. Mileage wise the Duster outperforms the Scorpio with an ARAI certified mileage of 20.46 and 19 KMPL as against Scoprio’s 14 KMPL and 12.88 KMPL. So for me Renault will offer a better engine which will not only deliver good power but good efficiency as well. Since the Duster is new we will start with it first. So far so impressive, the Duster is probably the best riding SUV for its price, it soaks bumps with ease and is confident around corners that too at high speeds. The body roll is limited and the comfort level is good. The Scorpio has a tall body design which definitely not helps it get the confidence an SUV needs, around sharp corners. Stability on straight roads is good and the comfort levels are also satisfactory but the driving dynamics are not impressive as Duster’s. The base variants of the Scorpio and Duster are priced at 7.79 lakhs and 7.99 lakhs respectively. The EX comes with a less fuel efficient and is also a little less powerful engine. The features are the most basic ones both in the Scorpio EX and Duster RXE and there is a price difference of 20k. So for us the Duster is a much better option as it is more fuel efficient and is marginally lagging in torque. Both the variants have a price difference of around 45k. The Duster comes with features like dual front airbags, ABS + EBD + Brake Assist, driver seat belt reminder, alloy wheels, reverse parking sensors, rear de-fogger, rear wiper and washer, front fog lamps, body coloured outside rear view mirrors, door trim fabric insert, electrically adjustable outside mirrors, rear seat center armrest, adjustable rear seat head rest, integrated 2 DIN audio system with USB, AUX-in & Bluetooth + 4 speakers, steering mounted audio & phone controls, height adjustable front seat belts etc. The SLE comes with mHawk engine, electrically operated ORVMs, digital immobilizer, voice assist system (unique to it), ABS, Collapsible steering wheel, crumple zone, child locks, air dams and mud flaps, front fog lamps, full fabric seats, individual armrests, rear wash and wipe, rear demister etc. The Scorpio does have some unique features to it and is a tempting option here. Please note that at the price of the Duster RXL 85 PS option pack variant you can also buy the more powerful 110 PS variant but the latter will be deprived of some of the safety features. Both these models are the top end ones and come with all the features listed in their respective brochures. However there is a price difference of 20 k which is not much considering you are buying the top end variant. Feature wise the Scorpio VLX does seem to be a better car but the bad mileage figure is a big let down. If you do not want Airbags, you can also go for the Scorpio VLX BS4 2WD-HE priced at Rs. 10.64 lakhs. For me the Duster RXZ would be a better option as it is fuel efficient, at par in terms of features and has great off-road manners. Design wise the Scorpio is an old machine and and does not appeal us either from the exterior or interior. The Duster is better in looks and I am sure many of you will agree with me. Ride and handling is another area where the Duster outperforms Scorpio, though the latter has a more powerful but less fuel efficient mHawk engine. According to us the verdict is in favour of Duster as it is new, refreshing and more value for money. Stay tuned for more comparisons and latest updates. Renault Duster now comes with 7 seats option, so if you were planning to skip the Duster just because of the seating capacity, you can think again.